Dr Phillips Property Management, Dr Phillips Property Managers, Dr Phillips Property Management Companies | Orlando Realty Solutions, LLC. In order to be able to determine the market rate of your home, we need some basic information from you. Please provide your name and property address and an email that we can return your rental rate. We research comparable properties in the MLS, Zillow, Trulia and other internet sources that have already been rented in your community to determine the highest possible rent for your property. We strive to rent your home for the highest amount in the quickest time frame. If you own an investment property in the Greater Dr Phillips area, let us manage & rent it for you! Do you really have the time, experience, patience or desire to be a landlord? That’s where Orlando Realty Solutions excels. We provide Honest, Ethical and Professional Management and Rental Services. Have confidence in knowing that we will take over all the stressful and time-consuming responsibilities that come with being a landlord. We’ll handle everything! As a real estate brokerage, we research the MLS to ensure that we are marketing the property at the highest possible market rent. We use market rent to ensure that you receive the highest rent possible, while also ensuring that the rent is not too high which would extend the vacancy time period. Once we accept a tenant, we typically inspect the interior of the property within the first 30 – 45 days of their occupancy. This gives us feel how they are treating your property. We will typically perform quarterly inspections of the exterior and interior of the property. We want to ensure that there are no unauthorized tenants or pets and ensure that the property is being kept in a clean condition and maintained properly. 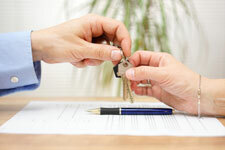 We let the tenant know their responsibilities in maintaining the property according to the lease. We advertise your property on numerous internet sites, the MLS and onsite signage. We believe that key to successful property management starts with a thorough vetting process of the prospective tenant. We want to make sure that we secure tenants with the willingness and ability to pay their rent. We do a full criminal and credit background check, verify employment and check prior residence history. The tenant’s gross monthly income should be at least 3 times the monthly rental rate. We thoroughly review all application information to make an informed approval or denial decision. All of our leases are prepared by the premier Property Management Attorney in Central Florida, Heist, Weisse & Wolk, PA. The lease is prepared to protect the interest of the Landlord, although fair to tenants. Once the lease is prepared, we meet with the tenants to explain and answer any questions prior to signing. Rent is due on the first of each month, with a grace period until the 5th. Most tenants take advantage of our online rent payment portal, which is fast and convenient. If rent is not paid by the 5th, we call and email the tenant and post a 3 Day Notice on the front door of the property. This notice states that they have 3 Days to pay the rent or vacate the property. This is a serious notice that typically induces payment and is the first requirement in an eviction proceeding. We handle all calls, inquiries, maintenance requests from the tenant on your behalf. One of our strengths is problem solving skills to handle and resolve issues on your behalf. Tenants can send any maintenance requests through our online website. Once the rent is received, the monthly reconciliation occurs and payment is made by online bank transfer to the owner. A monthly statement is also emailed to the homeowner. As required by law, we will have our accountant prepare the necessary 1099/1042 tax statement that will show your gross rental income received each year. We will forward this statement to you along with copies of all monthly statements so you will have proof of income and expenses for the preparation of your annual tax return. We provide you with the peace of mind in handling the management of your investment home by true professionals. We are the solution for your property management needs and even have it in our name, Orlando Realty Solutions. Contact us at 407-739-1716 with any questions or email me at broker@orlandorentz.com.